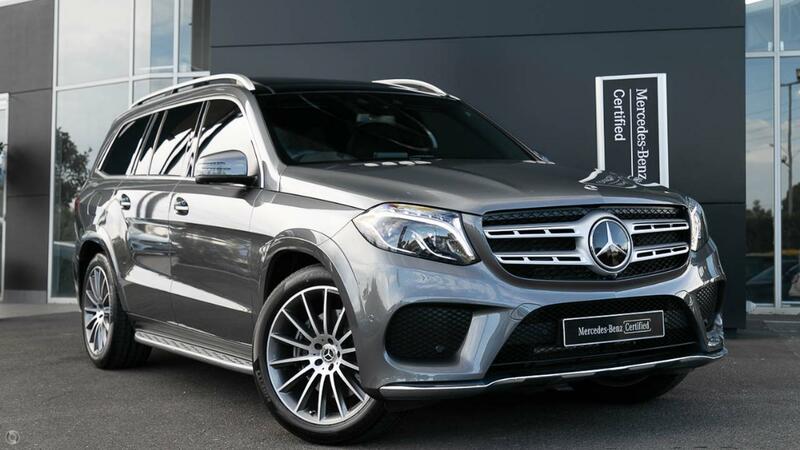 Australia's Most Awarded Mercedes-Benz Retailer proudly presents this 2019 Complied GLS350d Edition S in sparkling Selenite Grey Metallic with exceptionally low kilometres featuring the full suite of Edition S appointments including Panoramic Glass Sunroof available for immediate delivery with full 7-Seater capability and 4MATIC Permanent All-Wheel-Drive. While others pretend at being genuine 7-Seater SUV's, Mercedes-Benz offers a truly versatile, capable load-hauler with permanent four-wheel-drive that is at home on the tarmac fulfilling family duties as it is off-road fulfilling family camping duties, helping you get away from it all. Take the wheel of your unstoppable GLS350d with absolute confidence - ONLY from a Certified Mercedes-Benz expert and the reigning "Mercedes-Benz Metropolitan Retailer of the Year" again, for the 5th time in 6 years! - COMAND Online with 20.3cm/8 TFT colour display, HDD navigation with RDS-TMC, single-disc CD/DVD player with MP3/WMA/AAC compatibility, AM/FM/DAB+ tuner, 2 USB ports, 1 SD Card slot, LINGUATRONIC voice control operation, Bluetooth connectivity, telephone keypad for phone operation, Wi-Fi and internet connectivity. - THERMOTRONIC, 3-Zone full automatic climate control. - Tail lights featuring LED fibre optic technology. All our 'Certified Premium Plus' vehicles undergo an extive 120 Point Check in our state of the art Mercedes-Benz Workshop by factory trained specialist technicians. Exclusively fitting Genuine Mercedes-Benz Parts & Consumables, we offer you complete confidence when purchasing from us. Authorised vehicle servicing and parts facilities to take care of your vehicle long term, with a fleet of complimentary service loans vehicles and a pick-up service available. *PLEASE NOTE: The build date may not be accurate as vehicles advertised in Victoria are sold based upon on the year of Compliance - please check with your sales consultant to confirm build date.